Three tanks, three regulators and half a dozen other pieces of dive equipment are clipped onto your BCD, now try and hover, maintain your depth and swap to your NITROX mix. This is the Tec 40 course training and it’s GREAT! The additional time, the potential depth and the challenge of a range of new skills really get you excited, it’s like doing your open water course all over again. After diving a lot of Sydney’s best sites more than a dozen times each and I am never disappointed. From Oak Park to Cape Solander every dive has something unique not to mention that reef of bommie that is just out of reach. After a few hundred dives you really do forget the fun of doing a new course, so the prospect of opening up a whole myriad of new dive sites along with further exploration of some old favourites by doing my Tec training was an option I just couldn’t turn down. The course starts with a fair amount of theory work, unlike other courses however so much of the information is totally new, just like that first video or e-learning package that you completed all those dives ago. Personally I found the chapter on planning your dive and gas consumption highly interesting. 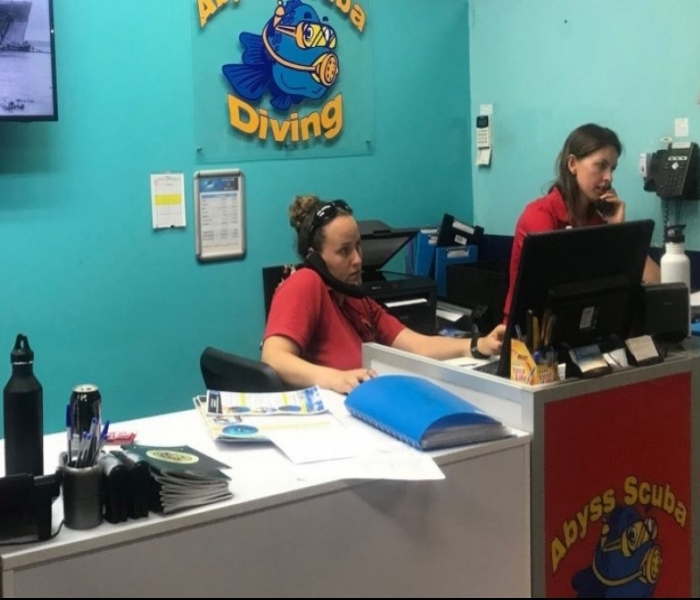 Instead of just breathing your gas down to a turn pressure like a recreational dive, you now calculate the air supply you will take based on your dive plan, a slightly different concept to say the least. Dive one and two are out at Lilli Pilli dive site in the hacking river, a location where some of the most peculiar fish life I have ever seen exist. Making your way through various drills and skills the dives fly past and before you know it your done, a stark contrast to the open water course where dives felt much longer as it was such a totally new experience. The second day of diving is really where you feel like a Tec diver for the first time. Donning my sidemount gear we prepare to enter deco for the first time. The dive site is one I have never been to before, a large reef 30 metres and more deep off the cliffs of Vaucluse. I already know that Tec is for me. Plunging off the boat and into the water I clip my stage bottle on, a task that is more difficult now that I am in the open ocean and not the calm waters of a river. The dive itself proves to be magnificent with great visibility and a host of marine life to see. I watch my dive computer eagerly in anticipation of the deco timer going beyond zero, . As soon as it clicks over into the deco minute counter it tells you how many minutes you have accumulated, you now feel like a proper Tec diver. The extra bottom time coupled with the reassuring feeling of having done the math for your gas supply really adds to the dive. As you finish and come back up through various safety stops and switch to the stage gas a feeling of accomplishment is ever present. 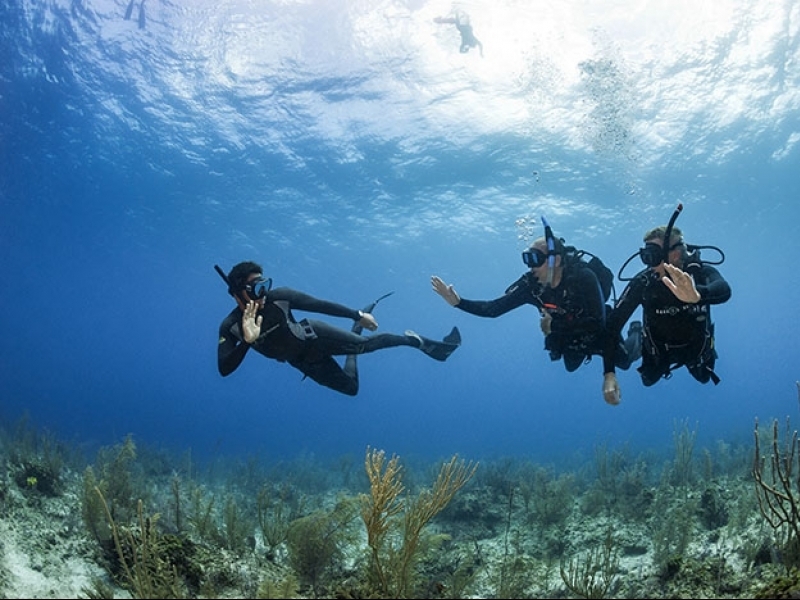 A whole new world of diving has just opened up and you can’t wait to get out there to do some more TEC diving!